Why would someone want to downsize? While we think of seniors as most likely to downsize, there are other reasons why people may be making a big change. Someone may want to live more simply and move to a smaller home or condo. A couple getting married and combining homes may need to downsize all of their possessions because moving isn’t an option. And of course, sometimes seniors need to downsize to move to a living care facility. 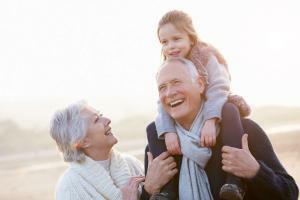 Downsizing, whether you are a senior or not, can be a tremendously emotional process. It is important to have someone who is non judgmental, helpful and kind. One of the biggest complaints I have heard during my professional organizing career is that people felt judged. I am compassionate, caring and understand this can be very difficult for people. I listen to what you say and will always suggest my best solution, but ultimately it is your decision. A key to downsizing is allowing as much time as possible to prepare for your move and clearing clutter. It usually takes much longer than you think. As it is a very emotional time, I suggest not rushing. You will be making decisions on what is most important to you and what you would like to keep. It is also important to tackle when you have the most energy. If you are not a morning person, do not try to make decisions at 7 AM. When downsizing, we will make a plan whether you want to sell items, give to family and friends, or donate to a favorite charity. As we go, we will organize items so we don’t have to do the work twice. Having a plan in place sometimes lessens the emotional shock for people as they have a plan to guide them. You don’t have to do this alone. If you are ready to downsize, call 919.559.3925 to set up a free 20-minute phone consultation. I am available to consult with you via Phone, FaceTime, Skype, Google Hangouts on Air. DOWNSIZING TIP: While most of us equate downsizing with letting go of our physical stuff, it can be a very emotional process. Make sure you have a plan in place and support for when you begin downsizing.